Oops, hello again. It's been so hard getting back into the groove since the holidays! Maybe because work has been super busy and so has life? All good and fun but not as much blog time as I'd like. 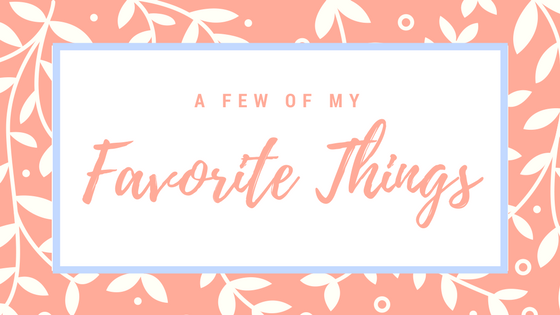 Today, I just wanted to share a few of my current favorites that I'm loving. I am following Tone It Up's meals plans right now trying to kick start some weight loss (I have a post coming on this!) but I still have to make my husband happy so at dinner, I've been sticking with my new favorite Skinnytaste and just making tweaks if it doesn't completely fit what my fifth meal should look like. Most of the recipes I've chosen, though, are Tone It Up approved! CrockpotBalsamic Roast with Parmesan Green Beans. This is one of my staples and you can easily use a regular sirlion or chuck roast depending on what's on sale. I made this for our friends on Tuesday and they were big fans, as well! Korean Beef Rice Bowls. This is seriously the easiest recipe ever. She makes it with ground beef and rice. I swap the beef for ground turkey and the rice for quinoa because I'm cutting out starches at 3p per the Tone It Up guidelines! I also sometimes add sliced carrots if I've got them around. This is an easy one to make and take for lunches! Taco Chili Soup. So what's awesome about this is if you want turkey/ground beef then you can make it following these exact directions. But, if you want to be able to cook everything in the crockpot without any pre-cooking, use frozen chicken and shred it before you eat! Another tweak, if you're wanting a thicker chili instead of soup (like my husband), skip the broth. I made it last Sunday and Christian says its one of his favorites to date because it's just a little spicy, very hearty and easy to reheat for lunches! I also now use her taco seasoning for everything taco I make! No more unhealthy store bought! Baked Garlic Lemon Tilapia. And this is probably my easiest "fall back" if I forget dinner or dinner doesn't turn out as well as I hoped. It's so simple and I always keep frozen fish on hand so it's easy to whip up! Also, very good over quinoa or with the roasted garlic green beans from above! Okay, on to some make up favorites. Last year, one of my "resolutions" was to play with make up more and I was actually pretty successful at it. I'm currently using a mix of high end and budget finds so I just want to share a couple. I may do something more in depth in a few weeks. Tarte - this is my favorite make up line. I'm currently using their eye shadows, foundation, foundation brush, and a myriad of lip products and I love it all! It all stays really well - especially the lipstick. Primer - I've tried a few, but right now I'm loving Smashbox's Photo Finish primer. I got a sample size during Christmas sales and for such a small bottle, it's already lasted about 3/4 weeks and has some life left! Concealer - I am OBSESSED with NYX color correcting concealer for my dark circles. It's been so hard to find something that works and this works its magic for me every day. 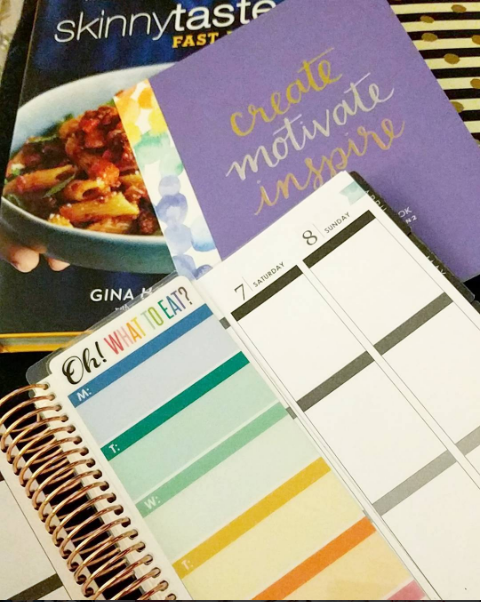 Of course, I love it because it's my first Erin Condren and I see why people love it! But, I also love it because I bought it at Staples. Let me do a quick break down for you. So, I got the same planner (although, it's not personalized but that's not important to me) for almost $40 less AND I didn't have to wait on shipping. Also, this is the most I've ever spent on a planner but it was my Christmas present to myself and I'm loving it. 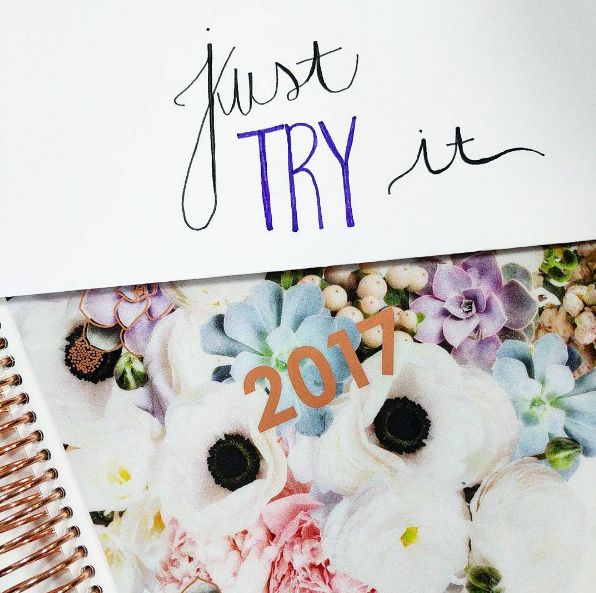 If you haven't gotten a planner, head on over to Staples. They also have sticker books, markers, notebooks and dashboards for the planners! Have you tried any of these products or recipes before? If you do, let me know what you think!